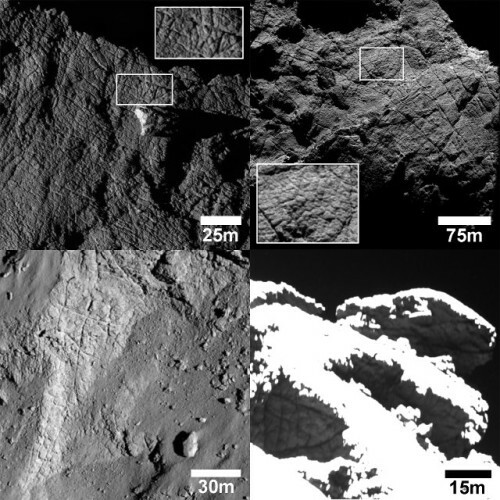 While the comet 67P/Churyumov-Gerasimenko started moving away from the Sun, new studies have been published based on data collected over the past months. 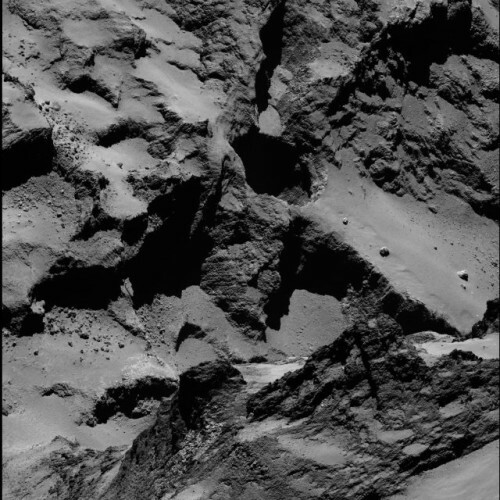 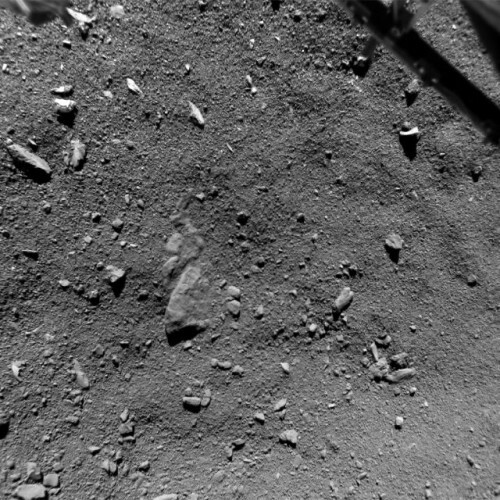 An article published in the journal “Geophysical Research Letters” describes the exam of the many fractures photographed after the arrival of ESA’s space probe Rosetta. 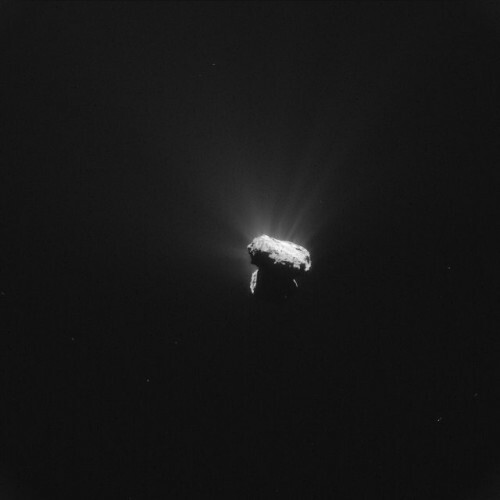 Another article published in the journal “Annales Geophysicae” provides an explanation for the “song” of the comet discovered last year.